58. The Kyiv Jewish Community is a secular organization operating under the auspices of Chief Rabbi Yaakov Dov Bleich. The writer spoke with Anatoly Shengait, Executive Director (Исполнительный директор) of KJC, who emphasized that KJC is an umbrella organization, striving to bring all Jewish organizations in the city together under one roof for community-wide actions. The organizations with which KJC tries to work include all Jewish religious denominations, all five Jewish day schools, and religious and non-religious Jewish organizations, e.g., Jewish youth groups, veterans clubs, and B’nai Brith. Most groups participate in most KJC programs, he said, but KJC now is generating fewer and smaller programs due to budgetary constraints. 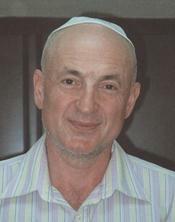 Anatoly Shengait has worked with Rabbi Yaakov Dov Bleich for many years. He currently directs the Kyiv Jewish Community, a secular organization that operates under Rabbi Bleich's auspices. In common with many other Kyiv Jewish organizations, KJC is now experiencing serious financial constraints. Especially noteworthy programs, said Mr. Shengait, are large community celebrations for Hanukah and Purim; participants from 20 smaller Jewish population centers are brought into Kyiv by bus. Discussion clubs for intellectuals, Holocaust commemorations, interfaith meetings, concerts of Jewish music, Jewish drama productions, and a Jewish children's theater are other projects. KJC also sponsors a periodic Jewish newspaper. Mr. Shengait believes that interfaith work, including involvement of Ukrainian Christians in Holocaust commemorations, is very important. He observed that many Ukrainians still believe in "myths" (мифа) from the tsarist and Soviet periods, such as the old accusation that Jews kill Christian children so as to consume their blood on Pesach. The Jewish community must work very diligently to change such ideas, Mr. Shengait said. When funds are available, KJC works in communities outside Kyiv. For example, they now are sponsoring some Jewish cultural activity in Bila Tserkva (better known as Belaya Tserkov, the Russia version of its name), a storied Jewish town southwest of Kyiv). KJC also has been drawn into the Uman situation, said Mr. Shengait. As many as 30,000 hasids descend upon a small city with limited infrastructure. The pilgrims are from another world, Mr. Shengait declared, many with long beards, wearing long coats, and draped in prayer shawls. The contrast between them and local men, many still attired in shorts in the late summer heat, is extraordinary. The hasidim fight with each other and with Uman residents over housing and other amenities. Small disagreements escalate into major brawls, sometimes with serious injuries. KJC tries to coordinate the various service providers, stated Mr. Shengait, and also is working with Uman authorities to develop the tourism infrastructure. In response to a question about financial support, Mr. Shengait said that Rabbi Bleich continues to support KJC, but the extent of the support diminishes from year to year. Several private individuals are helpful, he replied, and both JAFI and JDC provide some assistance for the large holiday celebrations. Some individuals from small towns who attend these holiday festivals pay their own way and/or raise money for the chartered buses, added Mr. Shengait. Student groups, he said, provide volunteer labor for the holiday celebrations. 59. The writer was unable to visit the Jewish Fund of Ukraine or the Ukrainian Jewish Committee. 60. The Jewish Agency for Israel (JAFI; Sochnut) operates a multi-faceted program focusing on Jewish identity-building and encouragement of aliyah (immigration to Israel). In common with other Jewish organizations, it has faced severe budgetary constraints during the past several years and has curtailed some programs while preserving others only by working collaboratively with other groups. The writer met with Bilana Shakur, who was then completing her fourth and final year as head of the JAFI Kyiv mission. Bilana Shakur is a veteran JAFI emissary, having served two years in Tashkent and four years in Kyiv. 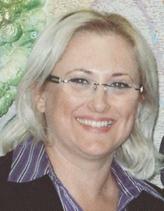 She returned to Jerusalem to a JAFI management position in the area of Russian-speaking Jewry in summer of 2012. Ms. Shakur said that aliyah from the region to Israel was proceeding at about the same pace as in 2011 when 526 people moved to the Jewish state. However, some small decreases had occurred in several areas, she noted. Due to economic distress, it is difficult to sell apartments in some cities. Also, budgetary cuts had forced JAFI to dismiss local aliyah coordinators in all but nine small cities, thus reducing enrollment in MASA and decreasing aliyah; experience has shown that ongoing personal contact is necessary to help MASA and/or aliyah candidates make appropriate decisions and feel comfortable about their forthcoming MASA experiences or absorption plans. People generally do not trust information that they read on the Internet or in other media, Ms. Shakur said, so the Internet, while useful for general communication, is no substitute for a well-informed local coordinator able to interact personally with individuals. About 640 serious candidates for aliyah within the next year or so are registered on a computerized JAFI list, Ms. Shakur continued, and JAFI maintains contact with all of them. In response to a question, Ms. Shakur said that about 80 percent of residents of large cities in Ukraine have computers with access to the Internet. The standard of living is much lower in smaller cities, she continued, and far fewer people in these smaller population centers can afford computers and Internet service. They cannot even afford mobile telephones, she added. However, she said, people with relatives in Israel consider computers and Internet access a priority; they manage to obtain computers and Internet service, complete with Skype, for communications purposes. She observed that parents with children in Naaleh or Selah previously came to the JAFI office to use JAFI computers to maintain contact with their offspring; now they communicate from home, she said. Twenty-three JAFI Hebrew-language ulpans currently (May 2012) are operating in the region, Ms. Shakur stated. Classes in smaller cities and towns, in particular, are full of young Jews who see no future for themselves in Ukraine, she said. They are very serious about aliyah and very serious about their Hebrew studies. Many other ulpan students, continued Ms. Shakur, are planning to join relatives already in Israel. A small number of ulpan participants intend to remain in Ukraine and work in the tourism industry; the visa-free regime recently instituted by Israel and Ukraine has brought more Israelis to Ukraine as tourists, and Ukraine needs Hebrew-speaking tourist guides and other tourism professionals to serve them, she said. Ms. Shakur noted that ulpans offered by the Israel Culture Center are free of charge, whereas JAFI needs to charge people five to ten dollars monthly in small cities and $12 monthly in large cities. Large-scale holiday celebrations remain an important method of introducing Israel and aliyah to local Jews, stated Ms. Shakur. She was then planning an Israel Independence Day fair for the following week that was expected to draw between 700 and 800 participants. The event was to take place outside Kyiv on a property permitting several different programs to operate concurrently. JAFI would provide one or two buses for each Jewish day school in Kyiv and additional buses for other groups in the city and for Jews in nearby towns. The celebration would include recognition of Israel's founding and its history as a state, master classes, lectures, and programs for children. An exhibit and fair on MASA programs would be staged, enabling potential MASA participants and their families to obtain information about specific MASA courses. In addition to JAFI's own celebrations, it also participated in other Jewish community events, such as the Hanukah and Purim festivals organized by the Kyiv Jewish Community. Summer camps are another critical component of the Jewish Agency program in the post-Soviet states. The Kyiv office would sponsor two 10-day camp sessions in 2012 at a site in the Carpathian Mountains, one session for 120 youngsters between the ages of 11 and 13 and the other for 120 teens between 14 and 17. Because the site is a ski resort, the owner offers JAFI a very good rate for his lean summer months when he has difficulty attracting other guests, said Ms. Shakur. Even with the cost of transportation (overnight train and bus) included, the cost of operating the camp in the distant Carpathians is less expensive than at a site closer to Kyiv. Campers' families pay a small portion of the actual expense. Ms. Shakur said that the camp is unable to accommodate all of the youngsters who would like to attend. Places are made available to campers based on the total Jewish population of the cities/towns in which they live. The demand for places far exceeds the number of applicants from such cities as Chernihiv, Cherkasy, and Khmelnytskyi, she said. Another JAFI outreach program targeting Jewish teens is Moledet (Heb., Homeland), which provides informal Israel-centered education activities for seventh and eighth graders in Kyiv Jewish day schools and in a number of Sunday schools, Ms. Shakur stated. The activities are led by trained madrichim and are welcomed by the school administrators, whose teachers often lack the experience and expertise to engage youngsters in Israel education. Ms. Shakur noted that a serious illness caused a longtime local coordinator in Khmelnytnytskyi to leave her position; aliyah fell from 50 during her last year on the job to 15 in the next year. JAFI ulpans include Jewish identity-building components that are not part of the ICC Hebrew curriculum. Ms. Shakur did not mention independent ulpans, such as that offered by the Masorti movement (see pages 80-81) or private Hebrew courses (see page 75). Some people enroll in several different ulpanim concurrently. The writer visited the camp session for teens between 14 and 17 in July 2012. The ski resort consists of one large building, accommodating campers in hotel-type rooms for two people. Each room has its own en suite full bathroom. The building also has a number of medium-size and large multi-purpose rooms that are used for a variety of informal education and social events. Informal education stressed Jewish identity development, Jewish mutual responsibility, Jewish tradition, the Holocaust, Israel awareness, Israel opportunities (Naaleh, Taglit, MASA), and leadership development. Relatively little time is spent outdoors. Madrichim (counselors) included both Ukrainian Jews and Israelis. The Ukrainian Jewish madrichim were veterans of JAFI camps and had completed several madrichim-training courses. From what the writer was able to observe over several days, the campers appeared happy and engaged in the program; they were well-supervised by the counselors, who appeared creative and dedicated. The ski resort kitchen was kosher (supervised by Igor Karasik, see pages 72-73). Ms. Shakur said that no advertising was necessary to fill the camp; families heard about it through word-of-mouth and approached JAFI for places for their children.